Few people see galleys and galley covers, the crucial but invisible scaffoldings upon which a book is erected. Yet as much thought and care goes into their preparation as into that of the final book, because they’re its early scouts into the world. Being a voracious bookworm, I came to science fiction very young. My first well-remembered book was the unexpurgated Twenty Thousand Leagues Under the Sea. By cultural background and temperament, I didn’t like the Leaden … er, Golden SF Era. I preferred the Silver Age and the New Wave, with their explicit charters to push boundaries and write worlds and characters with more depth and flavor than cardboard. And since my mythology and history haunt my dreams and steps, it’s also not surprising that one SF mode I like is space opera. Most people conflate opera with Wagner. Likewise, most SF aficionados conflate space opera with galactic empires, messianic anti/heroes (invariably white men) and gizmos up the wazoo, from death stars to individually customized viruses. And herein lies a tale of an immense, systemic failure of imagination. Postscript: the authors participating in the anthology have their own takes on it. Two particularly entertaining views are those of Alex Jablokov and Sue Lange. Note: this article first appeared as a guest blog post in Scientific American. It got showcased in a few places. Not surprisingly, some were dissatisfied: those who think scientists (especially dark non-Anglo female ones) should be just technicians with no larger contextual views of their work; those who cling to old notions of DNA functions; those enamored of miracle “cures”; and, needless to say, creationists of all stripes. A week ago, a huge, painstakingly orchestrated PR campaign was timed to coincide with multiple publications of a long-term study by the ENCODE consortium in top-ranking journals. The ENCODE project (EP) is essentially the next stage after the Human Genome Project (HGP). The HGP sequenced all our DNA (actually a mixture of individual genomes); the EP is an attempt to define what all our DNA does by several circumstantial-evidence gathering and analysis techniques. The EP results purportedly revolutionize our understanding of the genome by “proving” that DNA hitherto labeled junk is in fact functional and this knowledge will enable us to “maintain individual wellbeing” but also miraculously cure intractable diseases like cancer and diabetes. Unlike the “arsenic bacteria” fiasco, the EP experiments were done carefully and thoroughly. The information unearthed and collated with this research is very useful, if only a foundation; as with the HGP, this cataloguing quest also contributed to development of techniques. What is way off are the claims, both proximal and distal. 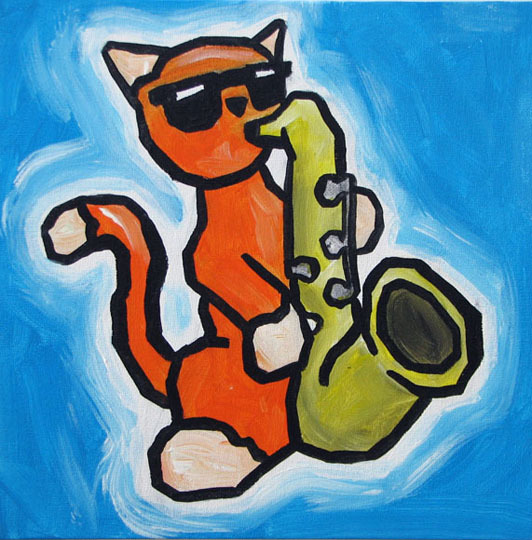 A similar kind of “theory of everything” hype surrounded the HGP but in the case of the EP the hype has been ratcheted several fold, partly due to the increased capacity for rapid, saturating online dissemination. And science journalists who should know better (in Science, BBC, NY Times, The Guardian, Discover Magazine) made things worse by conflating junk, non-protein-coding and regulatory DNA. Biologists – particularly those of us involved in dissecting RNA regulation – have known since the eighties that much of “junk” DNA has functions (to paraphrase Sydney Brenner, junk is not garbage). The EP results don’t alter the current view of the genome, they just provide a basis for further investigation; their definition of “functional” is “biochemically active” – two very different beasts; the functions (let alone any disease cures) will require exhaustive independent authentication of the EP batch results. Additionally, the findings were embargoed for years to enable the PR blitz – at minimum unseemly when public funds are involved. On the larger canvas, EP signals the increased siphoning of ever-scarcer funds into mega-projects that preempt imaginative, risky work. Last but not least, the PR phrasing choices put wind in the sails of creationists and intelligent design (ID) adherents, by implying that everything in the genome has “a purpose under heaven”. What did the study actually do? The EP consortium labs systematically catalogued such things as DNAase I hypersensitive and methylated sites, transcription factor (TF) binding sites and transcribed regions in many cell types. Unmethylated nuclease-sensitive DNA is in the “open” configuration – aka euchromatin, a state in which DNA can discharge its various roles. The TF sites mean little by themselves: to give you a sense of their predictive power, any synthetically made DNA stretch will contain several such sites. Whether they have a function depends on a whole slew of prerequisites. Ditto the transcripts, of which more anon. Let’s tackle “junk” DNA first, a term I find as ugly and misleading as the word “slush” for responses to open submission calls. Semantic baggage aside, the label “junk” was traditionally given to DNA segments with no apparent function. Back in the depths of time (well, circa 1970), all DNA that did not code for proteins or proximal regulatory elements (promoters and terminators) was tossed on the “junk” pile. However, in the eighties the definition of functional DNA started shifting rapidly, though I suspect it will never reach the 80% used by the EP PR juggernaut. To show you how the definition has drifted, expanded, and had its meaning muddied as a term of art that is useful for everyone besides the workaday splicers et al who are abreast of trendy interpretations that may elude the laity, let’s meander down the genome buffet table. Protein-coding segments in the genome (called exons, which are interrupted by non-protein-coding segments called introns) account for about 2% of the total. That percentage increases a bit if non-protein-coding but clearly functional RNAs are factored in (structural RNAs: the U family, r- and tRNAs; regulatory miRNAs and their cousins). About 25 percent of our DNA is regulatory and includes signals for: un/packing DNA into in/active configurations; replication, recombination and meiosis, including telomeres and centromeres; transcription (production of heteronuclear RNAs, which contain both exons and introns); splicing (excision of the introns to turn hnRNAs into mature RNAs, mRNA among them); polyadenylation (adding a homopolymeric tail that can dictate RNA location), export of mature RNA into the cytoplasm; and translation (turning mRNA into protein). All these processes are regulated in cis (by regulatory motifs in the DNA) and in trans (by RNAs and proteins), which gives you a sense of how complex and layered our peri-genomic functions are. DNA is like a single book that can be read in Russian, Mandarin, Quechua, Maori and Swahili. Some biologists (fortunately, fewer and fewer) still place introns and regions beyond a few thousand nucleotides up/downstream of a gene in the “junk” category, but a good portion is anything but: such regions contain key elements (enhancers and silencers for transcription and splicing) that allow the cell to regulate when and where to express each protein and RNA; they’re also important for local folding that’s crucial for bringing relevant distant elements in correct proximity as well as for timing, since DNA-linked processes are locally processive. But what of the 70% of the genome that’s left? Well, that’s a bit like an attic that hasn’t been cleaned out since the mansion was built. It contains things that once were useful – and may be useful again in old or new ways – plus gewgaws, broken and rusted items that can still influence the household’s finances and health… as well as mice, squirrels, bats and raccoons. In bio-jargon, the genome is rife with duplicated genes that have mutated into temporary inactivity, pseudogenes, and the related tribe of transposons, repeat elements and integrated viruses. Most are transcribed and then rapidly degraded, processes that do commandeer cellular resources. Some are or may be doing something specific; others act as non-specific factor sinks and probably also buffer the genome against mutational hits. In humans, such elements collectively make up about half of the genome. Continuing down the litany of claims, will this knowledge help us cure cancer and diabetes? Many diseases are caused not by mutations within the protein-coding regions but by mutations that affect regulation. Unmutated (“wild-type”) proteins at the wrong time, place or amount can and do cause disease: the most obvious paradigm is trisomy 21 (Down syndrome) but cancer and dementia are also prominent members in this category, which includes most of the slow chronic diseases that have proved refractory to “magic bullet” treatments. Techniques that allow identification of changes in regulatory elements obviously feed into this information channel. So a systematic catalogue of regulatory elements across cell types is a prerequisite to homing in on specific stretches known or predicted to have links to a disease or disease susceptibility. A few potential problems lurk behind this promising front. One is that the variety between normal individual genomes is great – far greater than expected. There’s also the related ground-level question of what constitutes normal: each of us carries a good number of recessive-lethal alleles. So unless we have a robust, multiply overlapping map of acceptable variability, we may end up with false positives – for example, classifying a normal but uncommon variation as harmful. Efforts to create such maps are currently in progress, so this is a matter of time. Two additional interconnected problems are assigning true biological relevance to a biochemically defined activity and disentangling cause and effect (this problem also bedevils other assays – the related SNP [single nucleotide polymorphism] technique in particular). To say that a particular binding site is occupied in a particular circumstance does not show a way to either diagnostics or therapeutics. “Common sense” deductions from incomplete basic knowledge or forced a priori conclusions have sometimes led to disasters at the stage of application (the amyloid story among them – in which useless vaccines were made based on the mistaken assumption that the plaques are the toxic entities). The pervasive but clearly erroneous take-home message of “a function for everything” harms biology among laypeople by implying ubiquitous purpose. It also feeds right into the perfectibility concept that fuels such dangerous nonsense as the Genetic Virtue Project. Too, it will attract investors who will push sloppy work based on flimsy foundations. Of course, it’s funny to see creationists fall all over themselves to endorse the EP results while denying the entire foundation that gives raison d’être and context to such projects. As for ID adherents, they should spend some time datamining genome-encompassing results (microarray, SNP, genome-wide associated studies, deep sequencing and the like), to see how noisy and messy our genomes really are. I’d be happy to take volunteers for my microarray results, might as well use the eagerness to do real science! What the EP results show (though they’re not the first or only ones to do so) is how complex and multiply interlinked even our minutest processes are. Everything discussed in the EP work and in this and many other articles takes place within the cell nucleus, yet the outcomes can make and unmake us. The results also show how much we still need to learn before we can confidently make changes at this level without fear of unpredicted/unpredictable side effects. That’s for the content part. As for the style, it’s true that some level of flamboyance may be necessary to get across to a public increasingly jaded by non-stop eye- and mind-candy. However, people are perfectly capable of understanding complex concepts and data even if they’re not insider initiates, provided they examine them without wishing to shoehorn them into prior agendas. Accuracy does not equal dullness and eloquence does not equal hype. The EP results are important and will be very useful – but they’re not paradigm shifters or miracle tablets and should not pretend to be. Brenner S (1990). The human genome: the nature of the enterprise (in: Human Genetic Information: Science, Law and Ethics – No. 149: Science, Law and Ethics – Symposium Proceedings (CIBA Foundation Symposia) John Wiley and Sons Ltd.
ENCODE Project Consortium, Bernstein BE, Birney E, Dunham I, Green ED, Gunter C, Snyder M (2012). An integrated encyclopedia of DNA elements in the human genome. Nature 489:57-74. doi: 10.1038/nature11247. Stamatoyannopoulos JA (2012). What does our genome encode? Genome Res. 22:1602-11. Birney, E. Response on ENCODE reaction. (Bioinformatician at Large, Sept. 9, 2012). Note: Ewan Birney is one of the major participants in the ENCODE project. Eddy, S. Encode says what? (Cryptogenomicon, Sept. 8, 2012). Eisen M. This 100,000 word post on the ENCODE media bonanza will cure cancer (Michael Eisen’s blog, Sept. 6, 2012). Timmer, J. Most of what you read was wrong: how press releases rewrote scientific history (Ars Technica, Sept. 10, 2012). My article on junk DNA and the recent huge PR noise associated with it just appeared in Scientific American as a guest post. I will reprint it here toward the end of the week, to give SciAm its time lead. This has also occasioned the opening of (groan) a Twitter account that will be essentially an adjunct to the blog, as are my FB and LJ accounts. The handles are Helivoy (LJ) and AthenaHelivoy (TW) — but if you’re tracking the blog, all else is redundant. by Larry Klaes, space exploration enthusiast, science journalist, SF aficionado. Note: this is a companion piece to Those Who Never Got to Fly. Clearly this is a very positive reaction to being in space, one which could have quite helpful benefits for those who are exploring the Universe. The Overview Effect might also have an ironic down side, one where a working astronaut might become so caught up in the “wonder and awe” of the surrounding Cosmos away from Earth that he or she could miss a critical mission operation or even forget what they were originally meant to do. Mercury astronaut Scott Carpenter may have been one of the earliest “victims” of the Overview Effect during his Aurora 7 mission in 1962. Apparently his very human reaction to being immersed in the Final Frontier in part caused Carpenter to miss some key objectives during his mission in Earth orbit and even overshoot his landing zone by some 250 miles. Carpenter never flew in space again, despite being one of the top astronauts among the Mercury Seven. It would seem that in those early days of the Space Race, having the Right Stuff did not include getting caught up with the view outside one’s spacecraft window, at least so overtly. Another item largely missing from Psychology of Space Exploration is the effects on space personnel after they come home from a mission. Edwin “Buzz” Aldrin, who with Neil Armstrong became the first two humans to walk on the surface of the Moon with the Apollo 11 mission in 1969, is one of the earliest examples of publicly displaying the truly human side of being an astronaut. Even though Aldrin was a fighter pilot during the Korean War, earned a doctorate in astronautics at the Massachusetts Institute of Technology (MIT), and played an important role in solving the EVA issues that had plagued most of the Gemini missions and was critical to the success of Apollo and beyond, his lack of following the unspoken code of the Right Stuff kept him from making that historic achievement. Aldrin would later throw the accepted version of the Right Stuff for astronauts right out the proverbial window when he penned a very candid book titled Return to Earth (Random House, 1973). 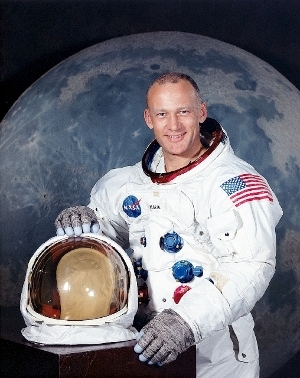 The first of two autobiographies, the book revealed personal details as had no space explorer before and few since, including the severe depression and alcoholism Aldrin went through after the Apollo 11 mission and his departure from NASA altogether several years later, never to reach the literal heights he accomplished in 1969 or even to fly in space again. Although Aldrin would later recover and become a major advocate of space exploration, he is not even given a mention in Psychology of Space Exploration. In light of what later happened with Nowak and several other astronauts in their post-career lives, I think this is a serious omission from a book that is all about the mental states of space explorers. The other glaring omission from this work is any discussion of the human reproductive process in space. NASA has been especially squeamish about this particular behavior in the Final Frontier. There is no official report from any space agency with a manned program on the various aspects of reproduction among any of its space explorers, only some rumors and anecdotes of questionable authenticity. As with so much else regarding the early days of the Space Age, that may not have been an issue with the relatively few (primarily male) astronauts and cosmonauts confined to cramped spacecraft for a matter of days and weeks, but this will certainly change once we have truly long duration missions, space tourism, and non-professionals living permanently off Earth. As with daily life on this planet, there will be situations and issues long before and after the one aspect of human reproduction that is so often focused upon. Unfortunately, outside of some experiments with lower animals, real data on this activity vital to a permanent human presence in the Sol system and beyond is absent. I recognize that Psychology of Space Exploration is largely a historical perspective on human behavior and interaction in space. As there have been no human births yet in either microgravity conditions or on another world and the other behaviors associated with reproduction are publicly unknown, this work cannot really be faulted for lacking any serious information on the subject. What this does display, however, is how far behind NASA and all other space agencies are in an area which will likely be the determining factor in whether humans expand into the Cosmos or remain confined to Earth. What the Psychology of Space Exploration ultimately demonstrates is that despite real and important improvements in how astronauts deal with being in space and the way NASA views and treats them since the days of Project Mercury, we are not fully ready for a manned scientific expedition to Mars, let alone colonizing other worlds. Staying in low Earth orbit for six months at a stint aboard the ISS as a standard space mission these days gives an incomplete picture of what those who will be spending several years traveling to and from the Red Planet across many millions of miles of space will have to endure and experience. If an emergency arises that requires more than what the mission crew can handle, Earth will likely be a distant blue star for them rather than the friendly globe occupying most of their view which all but the Apollo astronauts have experienced since 1961. 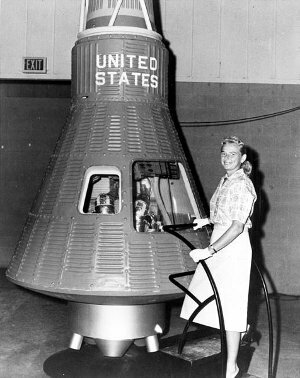 Image: Jerrie Cobb poses next to a Mercury spaceship capsule. Although she never flew in space, Cobb, along with twenty-four other women, underwent physical tests similar to those taken by the Mercury astronauts with the belief that she might become an astronaut trainee. All the women who participated in the program, known as First Lady Astronaut Trainees, were skilled pilots. Dr. Randy Lovelace, a NASA scientist who had conducted the official Mercury program physicals, administered the tests at his private clinic without official NASA sanction. Cobb passed all the training exercises, ranking in the top 2% of all astronaut candidates of both genders. Credit: NASA. Regarding this view of the shrinking Earth from deep space, the multiple authors of Chapter 4 noted that ISS astronauts took 84.5 percent of the photographs during the mission inspired by their motivation and choices. Most of these images were of our planet moving over 200 miles below their feet. The authors noted how much of an emotional uplift it was for the astronauts to image Earth in their own time and in their own way. As we begin to plan for interplanetary missions, it is important to consider what types of activities could be substituted. Perhaps the crewmembers best suited to a Mars transit are those individuals who can get a boost to psychological well-being from scientific observations and astronomical imaging. Replacements for the challenge of mastering 800-millimeter photography could also be identified. As humans head beyond low-Earth orbit, crewmembers looking at Earth will only see a pale-blue dot, and then, someday in the far future, they will be too far away to view Earth at all. Now of course we could prepare and send a crewed spaceship to Mars and back with a fair guarantee of success, both in terms of collecting scientific information on that planet and in the survival of the human explorers, starting today if we so chose to follow that path. The issue, though, is whether we would have a mission of high or low quality (or outright disaster) and if the results of that initial effort of human extension to an alien world would translate into our species moving beyond Earth indefinitely to make the rest of the Cosmos a true home. The data recorded throughout Psychology of Space Exploration clearly indicate that despite over five decades of direct human expeditions by many hundreds of people, we need much more than just six months to one year at most in a collection of confined spaces repeatedly circling Earth. This will affect not only our journeys and colonization efforts throughout the Sol system but certainly should we go with the concept of a Worldship and its multigenerational crew as a means for our descendants to voyage to other suns and their planets. This book is an excellent reflection of NASA in its current state and human space exploration in general. As with the agency’s manned space program since the days when the Mercury Seven were first introduced to the world in 1959, we have indeed come a long way in terms of direct space experience, mission durations, gender and ethnic diversity, and understanding and admitting the physiological needs of those men and women who are brave and capable enough to deliberately venture into a realm they and their ancestors did not evolve in and which could destroy them in mere seconds. Having said all this, what I hope is apparent is that we now need a new book – perhaps one written outside the confines of NASA – which will address in rigorous detail the missing issues I have brought to light in this piece. This request and the subsequent next steps in our species’ expansion into space – which will also eventually take place beyond the organizational borders of NASA – cannot but help to improve our chances of becoming a truly enduring and universal society in a Cosmos where certainty and safety are eventually not guaranteed to beings who remain confined physically and mentally to but one world. Early on the morning of February 5, 2007, several officers from the Orlando Police Department in Florida were summoned to the Orlando International Airport, where they arrested a female suspect. This woman was alleged to have attacked another woman she had been stalking while the latter sat in her car in the airport parking lot. Judging by the various items later found in the vehicle the suspect had used as transportation to the Sunshine State all the way from her home in Houston, Texas, her ultimate intent was to kidnap and possibly conduct even worse actions upon her victim. While such a criminal incident is sadly not uncommon in modern society, what surprised and even shocked the public upon learning what happened was the occupation of the perpetrator: She was a veteran NASA astronaut, a flight engineer named Lisa Nowak who had flown on the Space Shuttle Discovery in July of 2006. As a member of the STS-121 mission, Nowak spent almost two weeks in Earth orbit aboard the International Space Station (ISS), performing among other duties the operation of the winged spacecraft’s robotic arm. It seems that the woman who Nowak went after, a U.S. Air Force Captain named Colleen Shipman, was in a relationship with a male astronaut named William Oefelein. Nowak had also been romantically involved with Oefelein earlier, but he had gradually broken off their relationship and started a new one with Shipman. Oefelein would later state that he thought Nowak seemed fine about his ending their affair and moving on to another woman. However, by then it was painfully and very publicly obvious that Oefelein had not thoroughly consulted enough with his former companion on this matter. NASA would eventually dismiss Nowak and Oefelein from their astronaut corps, the first American space explorers ever formally forced to leave the agency. NASA also created an official Code of Conduct for their employees in the wake of this publicity nightmare. 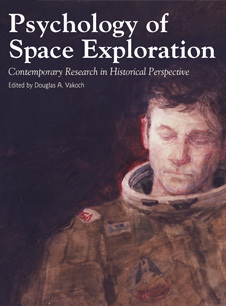 Now I have no documented proof of this, but I strongly suspect that the Nowak incident played a large but officially unacknowledged role in the creation of the recent offering by the NASA History Program Office book titled Psychology of Space Exploration: Contemporary Research in Historical Perspective (NASA SP-2011-4411), edited by Douglas A. Vakoch, a professor in the Department of Clinical Psychology at the California Institute for Integral Studies, as well as the director of Interstellar Message Composition at The SETI Institute. 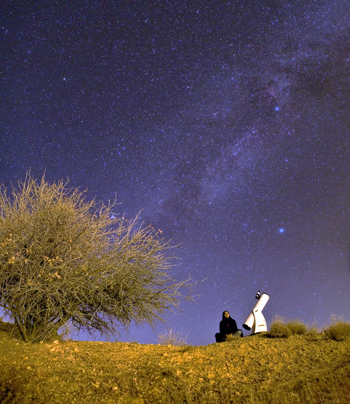 Psychology of Space Exploration is a collection of essays from leading space psychologists. They place their recent research in historical context by looking at changes in space missions and psychosocial science over the past 50 years. What makes up the “right stuff” for astronauts has changed as the early space race gave way to international cooperation. The book itself is available online in several formats. It may seem obvious to say that astronauts are as human as the rest of us, but in fact our culture has long viewed those who boldly go into the Final Frontier atop a controlled series of explosions otherwise known as a rocket in a much different and higher regard than most mere mortals. Even before the first person donned a silvery spacesuit and stepped inside a cramped and conical Mercury spacecraft mated to a former ICBM for a brief arcing flight over the Atlantic Ocean in 1961, NASA’s first group of human space explorers – known collectively as the Mercury Seven – were being presented from their very first press briefing in 1959 as virtual demigods who had the right skills and mental attitude to brave the unknown perils of the Universe. 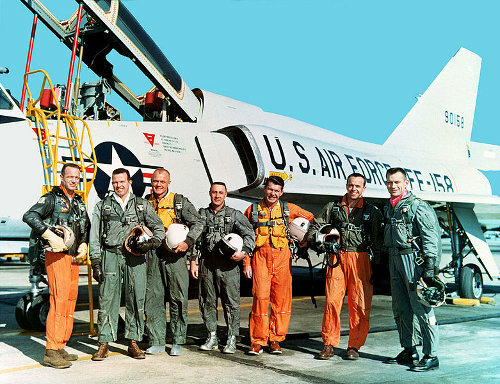 Image: The Mercury Seven stand in front of a F-106 Delta Dart. Credit: Wikimedia Commons. The Mercury Seven astronauts were not just men: They were an elite breed of space warriors ready to conquer the Cosmos who also represented the best that the United States of America had to offer when it came to their citizens, their technology, and their science. The nation’s first space explorers may have been ultimately human and limited in various ways, even flawed, but the agency’s goal was to keep any issues in check through their missions at the least and preferably during their full tenure with NASA. 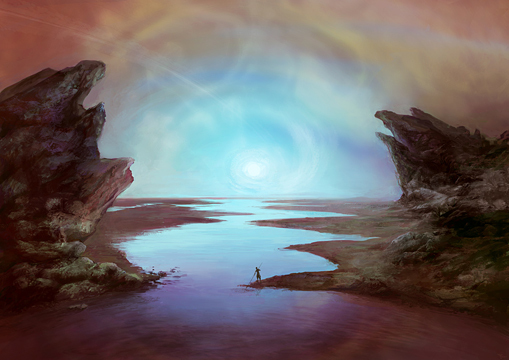 By the time of Nowak’s incident, astronauts may not have been the demigods of the days of Mercury, Gemini, and Apollo, but they were still looked upon as highly capable people who ventured to places few others have gone and who did not give into human passions beyond a few moments of wonder at the Universe, realistic or not. This is why Nowak and Oefelein’s behaviors were so shocking to the public even four decades after the first generations of space explorers. There are two reasons why I brought up the dramatic events of 2007 with Lisa Nowak: The first is my aforementioned hypothesis that what took place between the former astronaut and her perceived romantic rival led to NASA feeling the need to examine their policies regarding the human beings they send into space and formally documenting the resulting studies. The second reason is that Psychology of Space Exploration needed more of these personal stories about the astronauts and cosmonauts. Now certainly there were some of these throughout the book: The Introduction to Chapter 1 relays a tale about a test pilot who was applying to be an astronaut who told an evaluating psychiatrist about the time the experimental aircraft he was flying started spinning out of control. The pilot responded to this emergency by calmly leafing through the vehicle’s operating manual to solve the immediate problem, which he obviously did. Nevertheless, more of these kinds of stories would have not only made the book a bit less dry as it was in places, but they would have added immeasurably to the information content of this work. The problem here is that the book then moves on without going into any details about exactly what happened to curtail these missions. Knowing what took place would certainly be useful in making sure that future space ventures, especially the really long duration ones that will be of necessity as we move past our Moon, could be the difference between a secure and functioning crew and a disaster. Incidentally, the author noted that the Soviets, who were usually reticent about giving out many technical details or goals on most space missions manned and robotic, were more open when it came to the experiences of their cosmonauts and showed more interest in their physiological situations in confined microgravity situations than NASA often did with their astronauts. The Soviet space program also had a longer period of actual experience with humans living aboard space stations starting in 1971 with Salyut 1 (or Soyuz 9 in 1970 if you want to count that early space endurance record-holding jaunt) which NASA did not share between their three Skylab missions in 1973-1974 until their joint involvement with the Soviet Mir station in the 1990s. Having the details from that era would be of obvious benefit and interest. 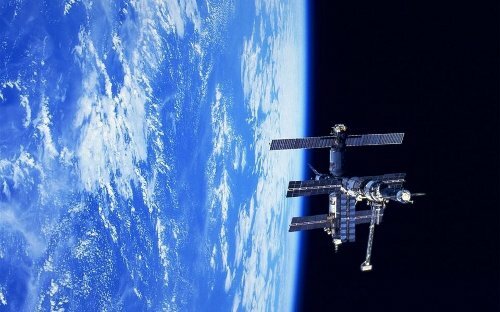 Image: The MIR station hovering over Earth. It deorbited in March 21, 2001.The station was serviced by the Soyuz spacecraft, Progress spacecraft and U.S. space shuttles, and was visited by astronauts and cosmonauts from 12 different nations. It endured 15 years in orbit, three times its planned lifetime. Credit: NASA. Granted, as with a collection of research papers such as this, there are plenty of references. Finding the stories this way is not a problem if you are doing your own research and using Psychology of Space Exploration as a reference source, but for the more casual reader it could be a bit of a disappointment when these items are not readily available. While I think most people who want to learn more about how our space explorers are affected by and respond to and during their missions into the Final Frontier will find something of interest and value throughout this book, Psychology of Space Exploration is largely a reference work that goes into levels of certain details as befitting literature of its type while missing a number of others which I think are just as important for a comprehensive view of human expansion into space, both in the past, the present, and most vitally the future. The ultimate goal of putting people into space is eventually to create a permanent presence of our species beyond Earth. That is the grand aim even if their initial underlying purposes were more geared towards engineering and geopolitical goals. This is similar to the history of the early navigators who crossed the Atlantic Ocean from Europe to the New World, for they too had other plans initially in mind, although the ultimate result was the founding of the many nations that exist in the Western Hemisphere today. “…they see women as radiant and merciless as the dawn…” — Semíra Ouranákis, captain of starship Reckless at planetfall (Planetfall). I decided to whet appetites. Below is not only the TOC of the anthology, but also the opening bars of each movement that’s part of this symphony. At the end of this post is a widget designed with great care and flair by Kate Sullivan, our publisher, that displays the excerpts as a beautiful mini-book. A thousand years ago the cities fell, fire and debris blasting out the Burntover Plain. Most of the field was played out now, the handful of towns that had sprung up along the less damaged southern edge grown into three thriving and even elegant cities, dependent on trade for their technology now rather than salvage. Cassilde Sam had been born on the eastern fringe of the easternmost city, in Glasstown below the Empty Bridge, and even after two decades of hunting better salvage in the skies beyond this and a dozen other worlds, the Burntover still drew her. Dunya stopped just outside Phineus’s unit to calm herself down. Otherwise she would burst in and start screaming at him. That was no way to start a check-in meeting with one of her refugees. That gave her a chance to realize that she looked like hell. She’d already had one fight that morning, with her daughter Bodil, and afterwards she had rushed out, unsnapped and unbrushed. It was hard enough to manage someone like Phineus, all Martian and precise, without giving him more ammunition about how lax things were here, among the asteroids. Trill walked home through the Rainshadow Mountains with Adia, her former mentor. Not alone. The sky had been high all day. Now, with evening, it came low, wetting them and their surroundings with mist. Silver beaded the fuzz beneath their feet. Adia was tough, though an elder. She walked steadily, without complaint. She ought to have been tired even before they started; she and Trill had spent the week teaching a cohort of tens-to-thirteens how to weave buildings. In the third week after gagarin123 landed on an unnamed planet sweeping through a solar system claimed by ValeroCorp, First Mechanic Bertie Lai’s chance for fame slowly swirled down the shitter. And just yesterday things had been moving along swimmingly. René Genie, the mission biologist, had not yet found sentient life; the geologist, Aadil Alzeshi, had discovered beautiful 1.4. Specifically, he’d hit some pitchblende with enough uranium in it for ValeroCorp to recoup the cost of this mission. There are breezes, like the ocean breeze, which can set your pulse racing, dear kin, and your spirit seems to fly ahead of you as your little boat rides each swell. But this breeze! This breeze wafts through you and me, through planets and suns, like we are nothing. How to catch it, know it, befriend it? This sea, the Antarsa, is like no other sea. It washes the whole universe, as far as we can tell, and the ordinary matter such as we are made of is transparent to it. So how is it that I can ride the Antarsa current, as I am doing now, steering my little spacecraft so far from Dhara and its moon? Most college sophomores spent their summer running toyworlds while catching sun at air-conditioned disappearing beaches. Jenny Ramos Kennedy spent hers at the Havana Institute for Revolutionary Botany, which students called the Botánica. At the Botánica, Jenny worked with ultraphytes, Earth’s cyanide-emitting extraterrestrial invaders. Could she discover how to engineer ultraphyte chromosomes–to control them genetically, before they poisoned the planet? When Dine Paloan asked this woman, Alakie, to leave before destruction arrived, she refused at first. She had trained to be Paloan’s pilot, but this Alakie had never thought she would be leaving without Dine. So instead of accepting the Dinela’s wishes, this Alakie helped to send Paloan’s other tokens back to Cassin, and she stayed. The derelict ship ward was in an isolated section of Outsider space, one of the numerous spots left blank on interstellar maps, no more or no less tantalising than its neighbouring quadrants. To most people, it would be just that: a boring part of a long journey to be avoided–skipped over by Mind-ships as they cut through deep space, passed around at low speeds by Outsider ships while their passengers slept in their hibernation cradles. Cat’s Cradle turns into Painted Handkerchief turns into Dish of Noodles turns into Manger turns into Fishing Net. These are but the first of the Two Hundred Variations developed by bored human children on the Long Journey. Young Ket hums as zie holds up zir hands, the string wound tight around the fingers. Zie glances at me and I wave back. Zie has the same long graceful neck and bulbous body as zir parent, Tunloji. Watching zem is like watching a younger version of my lover. Mar-teri broke her confinement to burn alsar for her dead sisters. Under thin moonlight she stepped out of the unmarried adults’ caravan for the first time in two months–stones crunching under her feet, chives brushing against her bare ankles–carrying the bunch of alsar she was supposed to burn in her caravan. As if honouring them from afar could be enough. The opening lines of Falna’s song slipped into Mar-teri’s head. Such a fierce song, when the woman wearing Falna’s mask channelled generations of anger–how Mar-teri had longed to wear that mask! Jade spotted Sand as he circled down from the forest canopy, a grasseater clutched in his talons. She said, “Finally.” It would be nice to eat before dark, so they could clear the offal away from the camp without attracting the night scavengers. Jade frowned, scanning the canopy again. They were standing in the deep grass of the platform they had chosen to camp on, and it was late afternoon in the suspended forest and getting difficult to hunt by sight. I hate planets. Filthy, heavy, smelly, and this one was leaking. “This is wet,” Rida objected. The Door wasn’t so much heavy as reluctant to move, as if they were carrying it, one at each end, through molasses. “Why is it like this?” Saiyul asked as she leaned into the resistant thing. A bead of perspiration slid down Saiyul’s face, right into the scar on her cheek. It had healed, mostly, but it itched where her oxygen mask rubbed against it. If you had asked Eduw if he loved Grania, he would have been indignant. Naturally he did. He loved all his targets. Not at first, of course. He was put off. That scar that marred her face, it hurt to look at. It wasn’t an uncommon condition, despite what the meddies said. Some people rejected plas-flesh. It didn’t take, didn’t renew lost skin, didn’t rebuild damaged features. For some it even seemed to make things worse. The dead philosopher came out of his cavern only when both the moons of Mars were below the horizon. Or so the legend claimed. Under a clear sky over the Martian wilderness, Kallie focused her hearing and sought the faintest sound that might confirm his existence. Nothing. The nanobots lining her auditory nerves redoubled their efforts. Still nothing. Yet. She turned her attention towards the base at northeast, under the shadow of Olympus Mons. No alarms, no sirens, no one on her trail. They hadn’t noticed her absence. Yet. But they would, and they’d unleash the Enforcer. Matt Sunderland gazed at the Earth, which was just edging out from behind the Moon. From the L2 platform, Luna, of course, dominated the sky, a vast gray globe half in sunlight, half in shadow, six times larger than it would have appeared from his Long Island home. Usually, it completely blocked the gauzy blue and white Earth. On the bulkhead to his left, the Mars or Bust flag still hung, its corners fastened by magnets. As many of you know, I decided to conjure an anthology of original stories that are (broadly interpreted) mythic space opera with women protagonists. 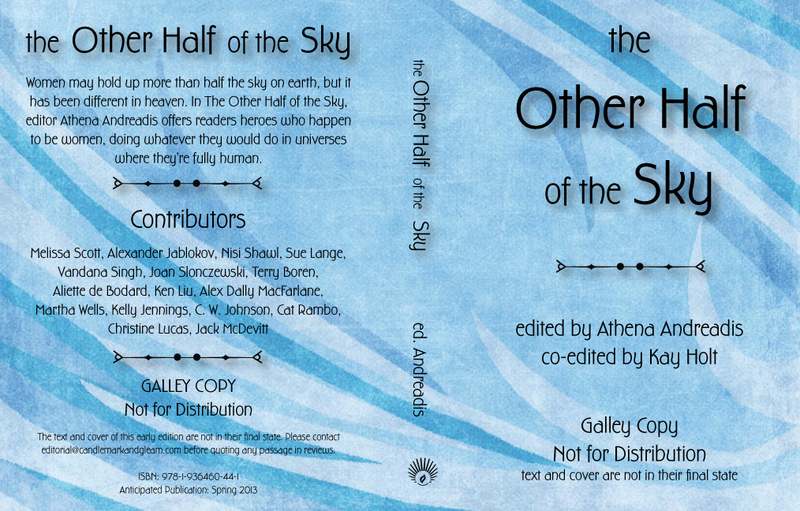 I will be releasing the TOC of The Other Half of the Sky in the next few days. Keep eyes on telescopes for the next stage of the launch! You are currently browsing the Astrogator's Logs weblog archives for September, 2012.